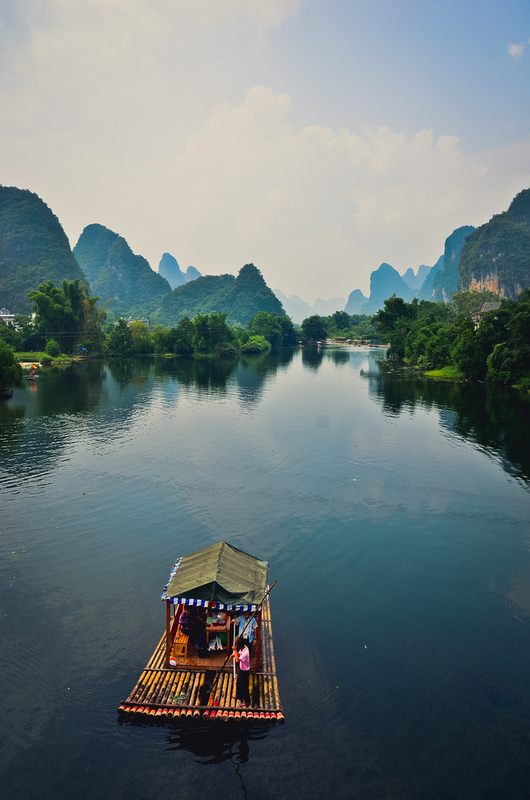 Yangshuo County is a county in Guilin, Guangxi Province, China. Its seat is located in Yangshuo Town. Surrounded by karst peaks and bordered on one side by the Li River it is easily accessible by bus or by boat from nearby Guilin. In the 1980s, the town became popular with foreign backpackers, and by the late 1990s packaged tourists began arriving in greater numbers. At that time, domestic tourism represented only a small fraction of the tourists but by 2005 domestic tourists outnumbered foreign tourists by a great margin. Today, the town has become a resort destination for both domestic and foreign travelers.